Theresa May is a little short of friends on the world stage. Britain’s Conservative Prime Minister doesn’t have the easy charm of David Cameron or Tony Blair. She doesn’t get on well with Germany’s Angela Merkel. She has no obvious allies among major European leaders – hardly surprising when her main task is to navigate Britain’s withdrawal from Europe. So an embattled Downing Street believes it has pulled off a diplomatic coup. On Friday, May will be the first world leader to visit President Trump in the White House. She hopes to be able to demonstrate that although frozen out of European capitals, she has a true friend across the Atlantic – that the world’s most powerful leader intends to help her achieve a successful Brexit. Donald Trump has already gone on the record as endorsing Britain’s narrow referendum decision to leave the European Union. “I think Brexit is going to be a great thing”, he declared earlier this month. “I thought the UK was so smart in getting out”. While Barack Obama had, unwisely, warned British voters that if they plumped for Brexit they would be at the back of a queue for a solo trade deal with the US, Trump and his advisers have said the UK will be close to the top of the line. 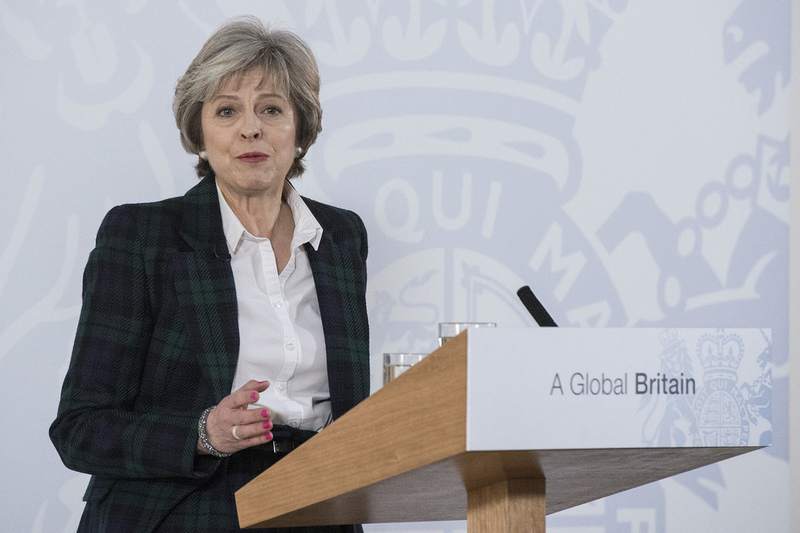 May desperately needs a clear display of support from the new president. That means much more than a photo opportunity; she needs a fast track deal with the United States which offers British business the prospect of new markets and fresh commercial partnerships. She supported the losing side in Britain’s EU referendum, though quietly and almost apologetically. It was the Brexit camp that brought the evangelical fervour to the contest – and that, along with distrust of the political establishment and dismay about Britain’s lack of control over immigration, is why the country turned its back on the most successful supra-national grouping of our times. 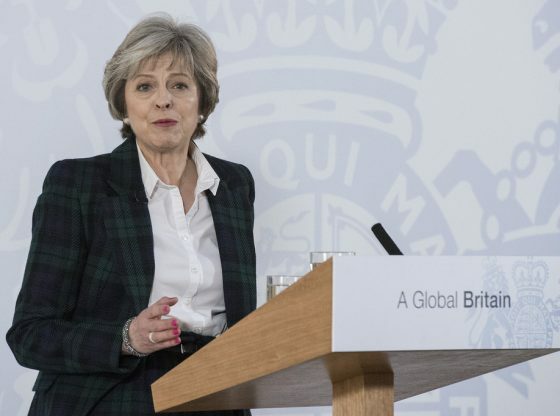 All the same, May has now made clear that she is leading Britain towards a ‘hard’ Brexit – not simply leaving the political and legal institutions of the European Union, but its single market as well. Politically, she believes this is her only option. If the hard right Marine Le Pen’s wins the French presidential election this spring – unlikely perhaps, but so too were the electoral triumphs of Brexit and of Trump – the EU is all-but-dead. It feels as if western liberal democracy is close to self-destruction. We could face the sort of mayhem, intolerance and political myopia that marked the fall of the Roman Empire all those centuries ago. One of those moments, perhaps, which marks a sharp shift in the balance of world power from the west towards Asia. Delhi may stand to gain from some aspects of this turmoil. Both Theresa May and her maverick Foreign Minister Boris Johnson have visited India in recent weeks seeking to strengthen trade ties and so build another bulwark for the UK against the economic shock of Brexit. Whether the British government has the political will to meet one of India’s key demands – an easier visa regime for Indian students – is not yet apparent. But if the west fritters away its global influence in a surge of xenophobic populism, China will be the main beneficiary. And that should sound a note of caution for the world’s biggest democracy. India is more comfortable with the US and the UK than with its principal regional rival. It could be in India’s interest, paradoxically, to shore up the west in this quiet competition for global primacy. And a word of caution for the British Prime Minister too as she makes her way to the White House. The type of insurgent, populist nationalism which Donald Trump represents is often too self-absorbed and self-interested to make a stable ally. One of the most Brexit-supporting British newspapers, the Telegraph, reflected that in a cartoon this week. In the first frame, a courteous and smiling Donald Trump is making way for Theresa May at the entrance to the Oval Office. In the second frame, he is angrily pushing her out of the way and shouting: “America First”. Mrs May, you have been warned. Andrew Whitehead, a former BBC Delhi correspondent, is an honorary professor at the University of Nottingham and at Queen Mary, University of London. This article was first published on NDTV and can be found here. Image credit: CC by Chatham House/Flickr.